The health, safety and welfare of employees in any business or organisation is of paramount importance. The Alison Learning Path in Workplace Health and Safety will help you gain a thorough understanding of key aspects such as risk analysis, hazard identification and control, safety education and training, and best practice policies for the implementation of effective safety programs. The Alison Learning Path in Workplace Health and Safety is a sequence of courses that will increase your knowledge and understanding of health and safety practices in the workplace. You will learn key skills in the areas of behaviour-based safety, how to keep the workplace drug-free, how to implement correct ergonomics in the workplace, and how to ensure back safety during manual handling. This online workplace health and safety course will first cover the essential topic of risk assessment. Here, you will be shown how to identify workplace hazards and risk factors that have the potential to cause harm. 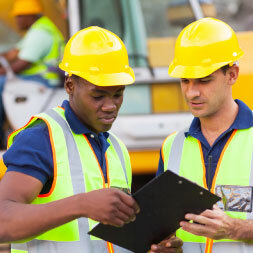 You will then learn how to analyze and evaluate the risks associated with each type of hazard. Next, you will study the different types of fires and fire extinguishers such as water and foam, carbon dioxide, and wet chemical fire extinguishers to name a few. Next, you will learn about workplace health and safety issues involving the environment. The work environment refers to the surrounding conditions in which an employee operates. 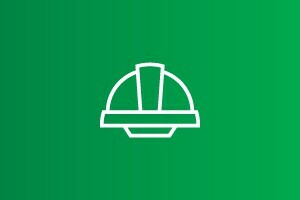 This may be composed of physical conditions such as office temperature, or equipment such as personal computers, You will also cover the electricity and other work-related factors such as manufacturing processes or procedures. 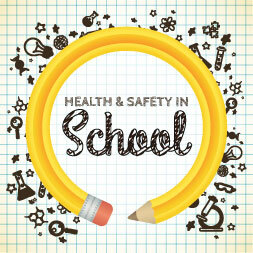 You will also study health and safety issues involving chemicals and other important hazards. 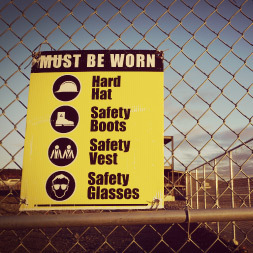 Raising your awareness of the dangers that may be present in your workplace will keep you away from harm and injury. 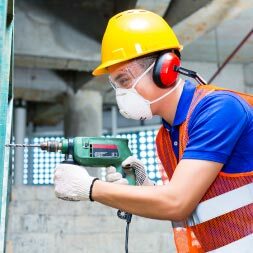 This course will be of real values to all workers wishing to learn more about the fundamentals of health and safety in the workplace, especially for those who are working in the training and employment department. So, check out the course and learn how to keep yourself and your colleagues out of harm's way. 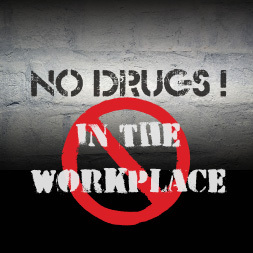 The course Drug-free Workplace training provides the learner with useful information on how to recognize the signs of drug misuse at their place of work and how to takes steps to prevent its increase. This programme allows the learner to complete the modules at their own pace, with exercises within each module and a quiz at the each module end. Ensuring adequate health and safety is vital in the healthcare setting to prevent the spread of pathogens and to protect both the nursing professional and their patients. This nursing course provides the learner with an overview of important health and safety guidelines that aid in the prevention and transmission of human immunodeficiency virus and blood-borne pathogens. Other key elements of the course focus on good body mechanics that demonstrate the importance of correct posture and body alignment for lifting heavy objects or when moving patients or materials from one location to another. Ambulating the patient is one of the tasks the nursing professional performs regularly to assist the recovery process and ensure patient comfort, sleep, and relaxation when bed bound. The type and range of positions are outlined, together with procedures to apply when positioning and turning adult patients with specific spinal or surgical conditions. The purpose, type, and time of exercises are discussed with guidelines for planning the appropriate range-of-motion exercises, the possible contraindications and the importance of documenting a patient’s progress. This nursing course will be of great interest to all healthcare professionals who would like to learn more about good nursing practices and techniques that help protect and maintain the health and safety of both nursing professional and patient in any healthcare setting. Learn about implementing best practices in health and safety in food service operations by studying the course Hospitality Management – Health and Safety in Food Service. The course first introduces the different factors affecting kitchen layout and design. You will learn about the features that have to be considered when designing the kitchen, such as the number of staff, type of restaurant and kitchen hazards. You will also learn about the ease of workflow, and the different types of kitchen equipment and how this affects the kitchen design and layout. Next, you will learn about food safety and the food handling process, such as the observance of good hygiene codes and habits. You will also learn about the different types of food contamination and the measures taken to control them, such as safe food storage, safe cooking procedures and correct food temperature control and measurement. Finally, you will be introduced to the types of accidents and injuries that occur in the food service industry such as trip, falls, cuts and burns. You will learn how to be aware of hazards, and implement safe kitchen working procedures to help minimize injuries. You will also learn about fire safety and how to recognize and use fire equipment found in most restaurants, such as the different types of fire extinguisher. 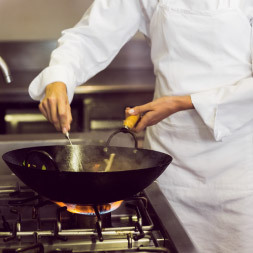 This course will be of great interest to all food service staff and managers who would like to learn more about implementing best practices and procedures in relation to kitchen health and safety, and to all learners who are interested in hospitality and the food service industry as a career. Successfully complete all of these courses to receive a Workplace Health and Safety Learning Path Award.